Click on this image to donate through this year’s GiveBIG! campaign. 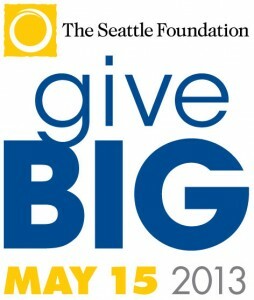 You are invited to support the Rainier Beach Community Empowerment Coalition (RBCEC) in DREAMING BIG by contributing to this year’s Seattle Foundation’s annual GiveBIG campaign on May 15. 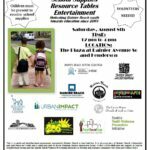 We are specifically raising funds for the 2013 Back2School Bash which, since 2003, provides resource tables and educational support materials for hundreds of low income Rainier Beach families – this year the event is August 10, 2013 at Beer Sheva Park. 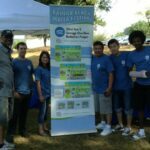 Watch for more information on this Web site, as well as the Coalition’s Twitter account and Facebook page . For every donation the Back2School Bash receives between midnight and midnight on May 15th, we will receive a portion of the matching funds, also known as the “stretch” pool! The amount of the stretch pool the Back2School Bash receives depends on how much we can raise on that day. For example, if we get 8% of the total donations during GiveBIG, then we will receive 8% of the stretch pool. You can join with us during this campaign by making a contribution at the Rainier Beach Community Empowerment Coalition profile on Seattle Foundation website on May 15th! Please mark your calendars! We will be sending out an email reminder the day before. On May 15, you will be able click on the GiveBIG logo at the upper left corner of this page to go to the Coalition donation page or right here, where you can make your donation. August 13, 2013 10th Year of Rainier Beach Back2School Bash deemed a success!! !